In 1869 Jay Cooke financed Duluth’s first grain elevator at the very corner of Lake Superior, where Third Avenue East once met the shore next to Sidney Luce’s warehouse. Cooke’s Union Improvement and Elevator Company purchased wood from Roger Munger’s sawmill on Lake Avenue to build Elevator A, a grain terminal that could hold 350,000 bushels of grain and came equipped with a steam-powered conveyance system. Cooke’s Lake Superior & Mississippi Railroad then brought rail to the elevator by building large docks. (Munger, along with Clinton Markell and C. H. Graves, also invested in the enterprise.) The railroad also added docks along a timber-and-stone breakwater that protected vessels from Lake Superior’s often turbulent waters. On May 30, 1871, the steamer St. Paul took Elevator A’s first load, 11,500 bushels of wheat, and became the first boat to carry a cargo of grain out of Duluth and down the lakes. Only one other grain elevator, Elevator Q in 1878, was built on the lake itself. After the ship canal opened, allowing direct passage to the safety of the bay, all of Duluth’s grain elevators were built on Rice’s Point. The giant storage facilities first popped up on both Rice’s Point and Conner’s Point in Superior after 1878, but the grain trade wouldn’t truly blossom in Duluth until the latter half of the decade, when grain started flowing to Rice’s Point from the farms of the Red River Valley in western Minnesota and eastern Dakota Territory. Early grain elevators were made of wood, and grain dust is highly combustible; elevators often went up in flames. Elevators A and Q burned on November 27, 1886, taking with them about 500,000 bushels of grain and the lives of elevator foreman Edward Lee and fireman Charles Moore. The loss was so substantial it actually led to a rise in value of the Chicago grain market. The fire also consumed a saloon, a carriage factory, houses, and warehouses on the 400 block of East Superior Street. The following year wheat from both burned elevators remained on the site, rotting away. It was loaded onto barges and dumped in Lake Superior. In 1891, founders of the Duluth Curling Club used Elevator A’s foundation to build the club’s first rink, which was destroyed in a blizzard in March 1892. Meanwhile, grain elevators continued to go up on Rice’s Point, most between 1885 and 1902, including the Peavey Elevator in 1900, the first tubular concrete silo. Built by Frank H. Peavey and Charles H. Haglin, who perfected the design. Because of concrete’s fireproof qualities, facilities like the Peavey elevator eventually replaced their wooden counterparts. By 1910 ten of the concrete storage facilities lined the eastern side of the point. By 1900 the Board had been trading for six years at the second Board of Trade Building, constructed on First Street in 1894 after fire destroyed the Board’s first building. The new building’s trading floor on the eighth floor features the largest “free-standing, self-supporting skylight in the United States.” The Board entered the Durham wheat market in 1903 and were soon shipping 17 million bushels a year, mostly to Europe to be processed into macaroni. In 1906, the Board had outlived its pioneer members. In 1911 it reached its life expectancy and extended its charter. By 1920, Duluth’s grain elevators could hold over 36 million bushels of grain and loaded 62,723,563 bushels onto ships. 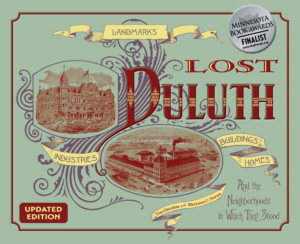 Despite this, over the years Duluth’s importance in the grain trade declined. In 1929, besides the nation’s stock market crash, a change in grain inspection practices would reduce the amount of grain the Duluth Board of Trade sampled and graded. The grain trade through Duluth did not recover after the Great Depression came to an end, and in 1946 the Duluth Board of Trade made its last futures transaction. But grain continued to move through Duluth; in 1966 a record 252.6 million bushels of grain was shipped via the Port of Duluth. As historian Pat Lapinski wrote, the grain market “hadn’t so much changed as had the methods of doing business.” The Board of Trade held on until 1972, when the organization dissolved; a year later, the Board of Trade Building became the property of private investors. 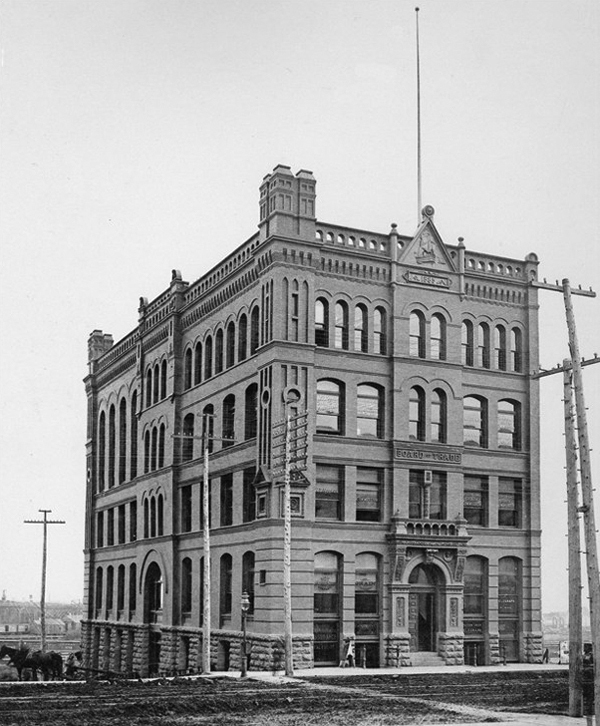 While the Board of Trade is gone, its grand 1894 building remains (its trading floor is now the home of the Minnesota Ballet) and Duluth itself remains a center for grain shipping. Today three companies — General Mills, Cargill, and AGP Grain — still operate elevators on Rice’s Point.